I’m excited to present the Ashton Catalog of New Peterson Products for 2015, which makes its web debut for Pete Nuts here at Peterson Pipe Notes. Some of it you’ve seen from the IPPC Forum, but some of it may be new to you. All the pipes are in production at the moment, although only the St. Patrick’s Day is in wide release. You can expect the others, says Tony Whelan, Jr., factory manager at Sallynoggin, in April–if you’re in Europe. For those on this side of the Pond, factor in about 4-6 weeks pod-travel-time for a mid-May / June arrival. 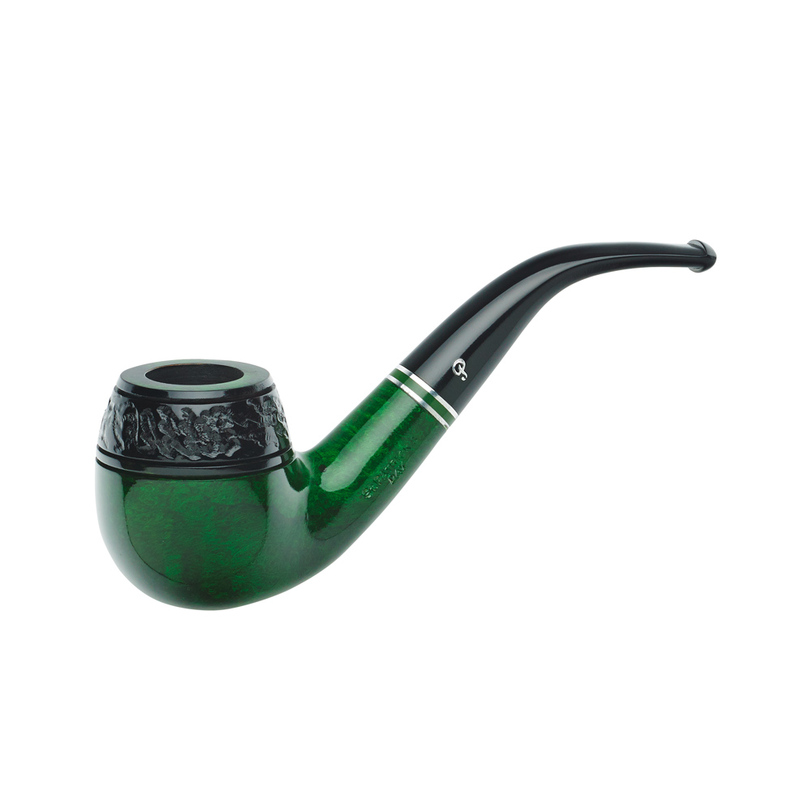 I didn’t see the Christmas Pipe 2015 in the catalog, but I expect it’ll be along later in the year, given the success of the 2014 series. Conor Palmer forwarded several photos of the new issues for 2015, which I’ve included below. 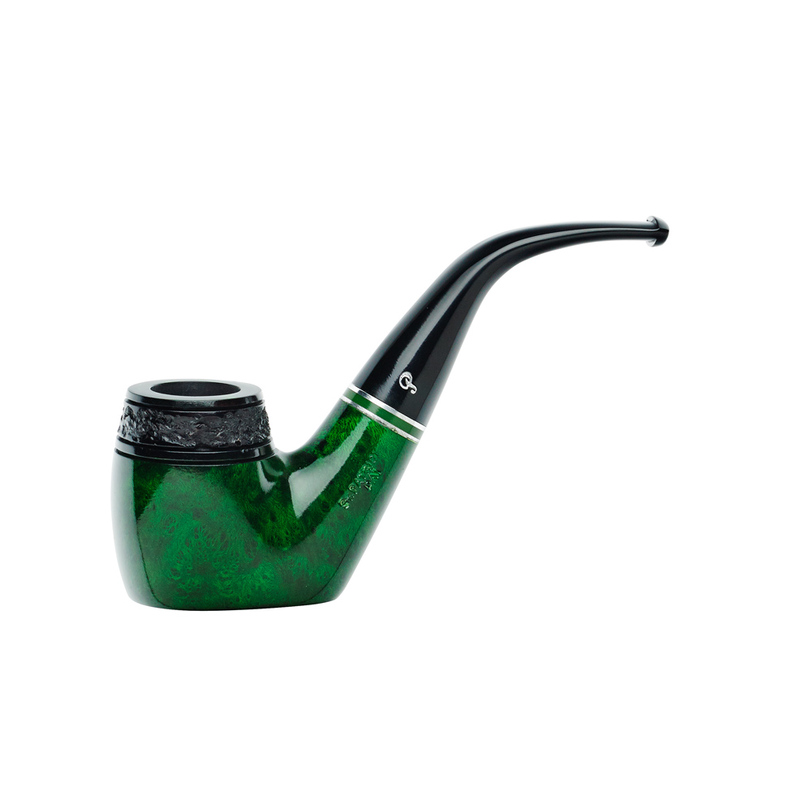 As is so often the case, if you can see any of these in person, they almost invariably surpass what can be shown in 2D, especially with the acrylic stems, so check with your local pipeshop. 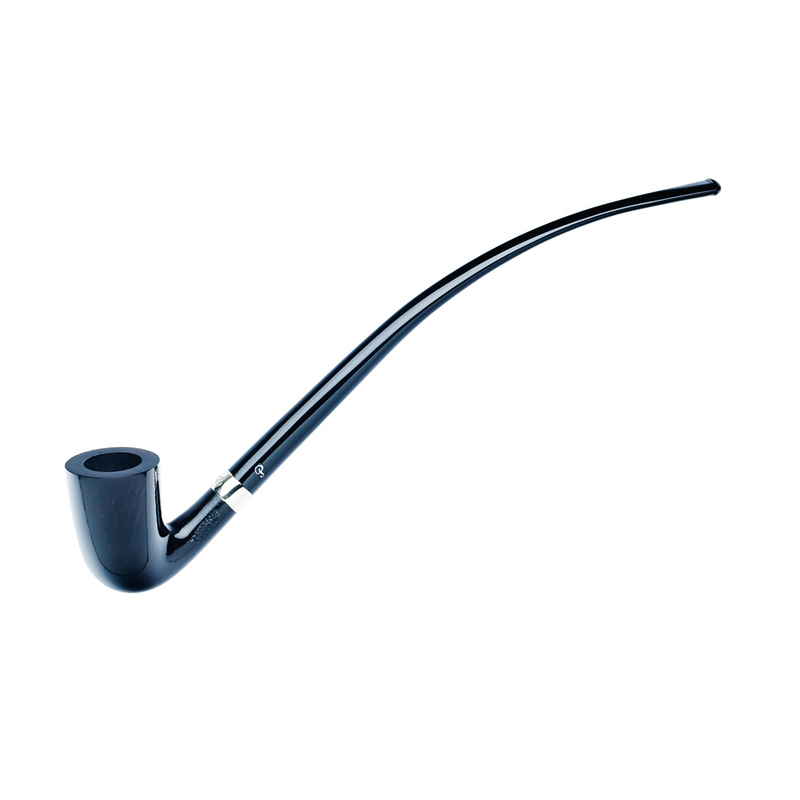 Fisherman’s Series – Two pipe series, one one straight (X105), one curved (68). Sandblast black gloss bowl, nickel band with salmon engraving, silver swirl acrylic mouthpiece with hotfoil impressed “P.” No complaints from me on the acrylic stem, it’s such a beauty, although I think these are more along the line of “Fisherman’s Dream” or “Wish I Was Fishin’,” as I don’t know any serious anglers who’d take such pipes to the river, stream or lake with them. Great box sleeve, by the way. And if you get one of these, be sure to hang on to that sleeve! Collecting ephemera is the way we document the past in our hobby. The Atlantic Pipe – Dark blue stain, smooth bowl, nickel band with “ATLANTIC” engraved on it, seaweed colored swirl acrylic mouthpiece, hotfoil silver “P” stamp. The seaweed meant to reflect the top and bottom of the Atlantic–nice touch. Peterson quite rightly continues to garner the interest of the new generation of pipe smokers, and this one should appeal to them as well as being a great cross-over for older duffers like myself. I’m really pleased they chose shape 68, a wonderful brandy that could be the paradigm for the shape. It’s also got a 20mm x 42mm chamber (that’s .81 x 1.67 inches), which I’ve decided is the perfect chamber size for Virginias, Virginia Flakes and VaPers. 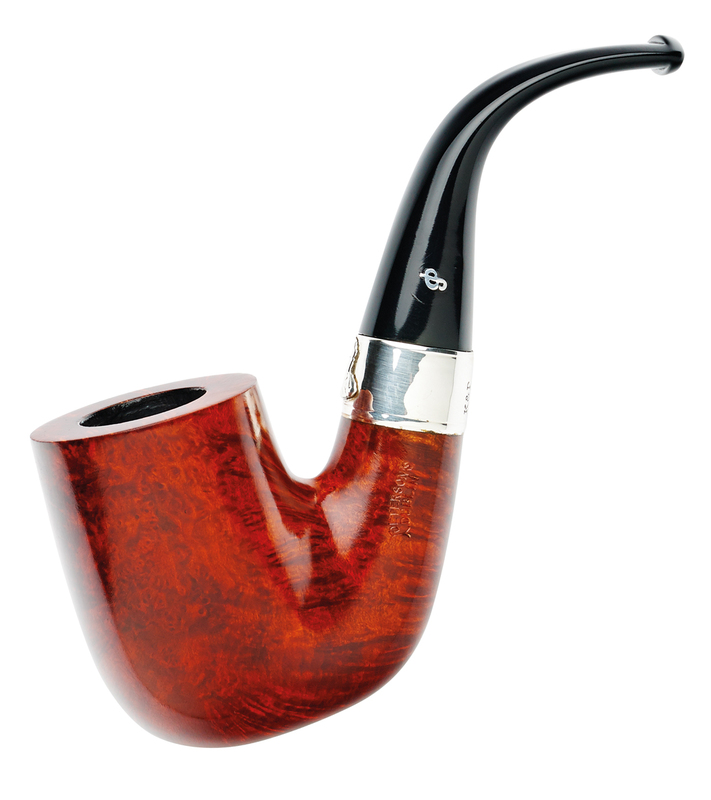 Such chambers also do very well for English and aromatics, making them probably the most versatile chamber size you can have in your rotation. I like the slim 69 as well, which looks somehow Gaelic with its slightly bullet-shaped bowl (19.60mm x 40mm). 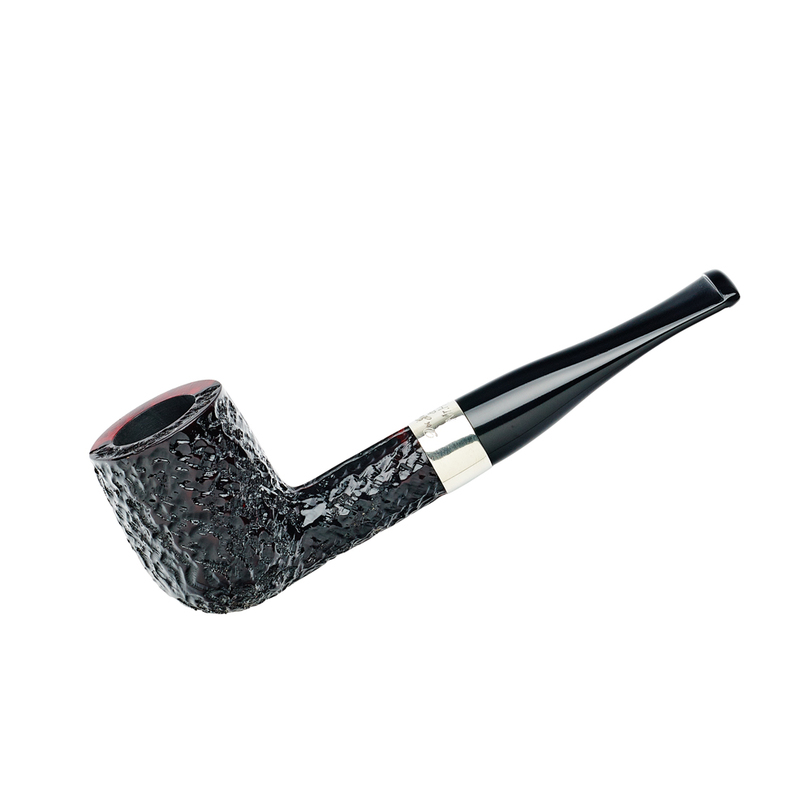 The Jekyll and Hyde Collection – Who’d have thought the Dracula 2012 series would become a staple at Peterson? I remember all the grunts from Elder Pipemen (like, groan, myself) on its release. Fortunately, the younger generation bought it in huge numbers, making it Peterson’s biggest success in recent years. 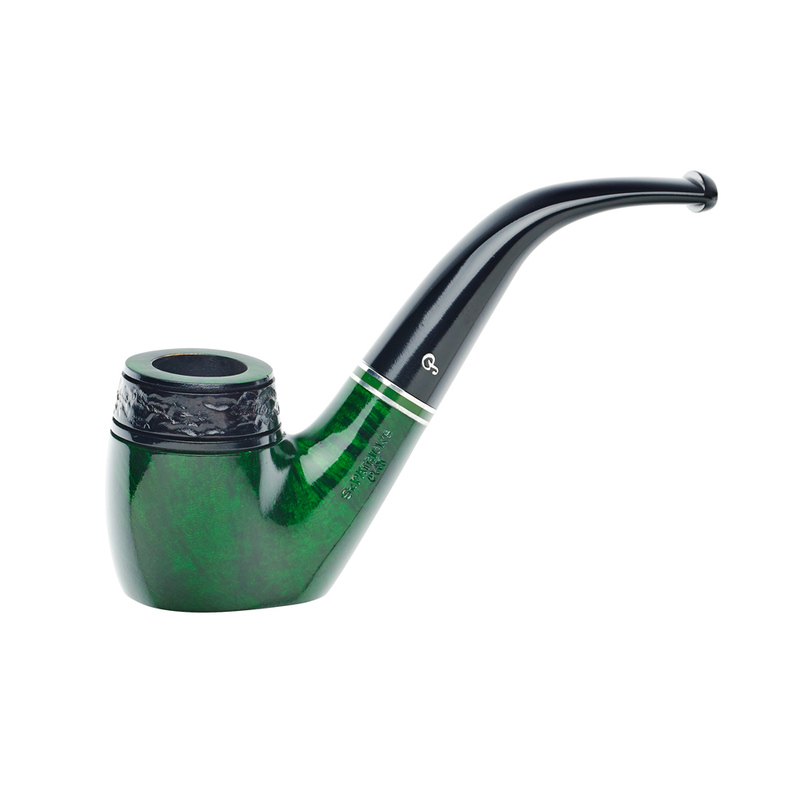 Churchwarden Shapes– the D15, D16 and D17, in smooth green, red and gray. 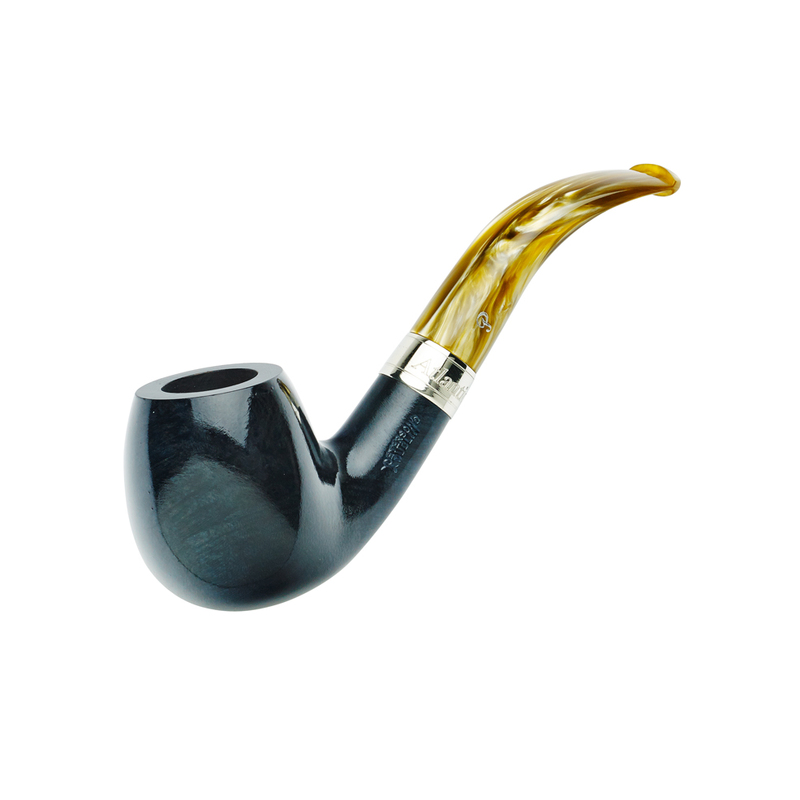 Peterson caters very nicely to the Middle Earth market, I think, with these new shapes. 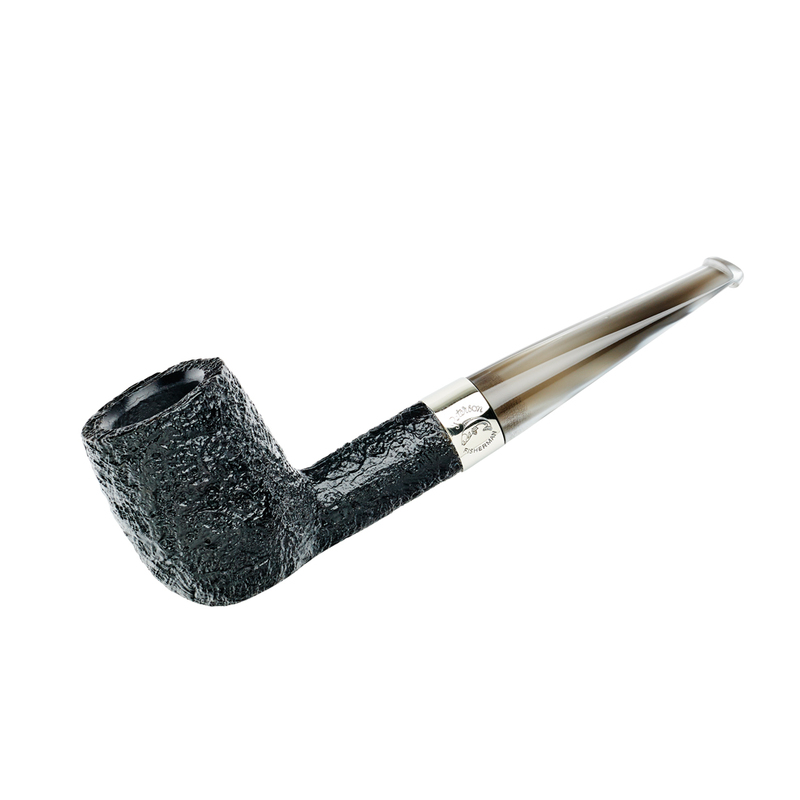 *** Nickel band, ebonite mouthpiece, hotfoil pressed “P.” I’m anxious to see the chamber sizes, as well, because the long stem does indeed make a difference. My 1904 X.0.1. 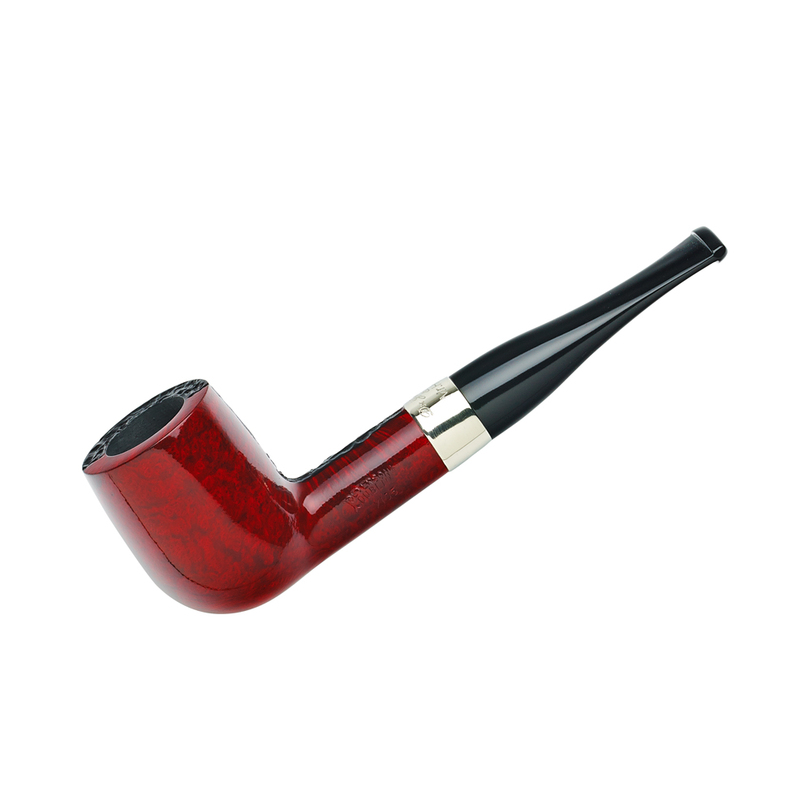 Patent System has a 9-inch stem and it’s quite a different smoking experience than a short stem on the like-sized 140th Anniversary–better, in fact. Much better. 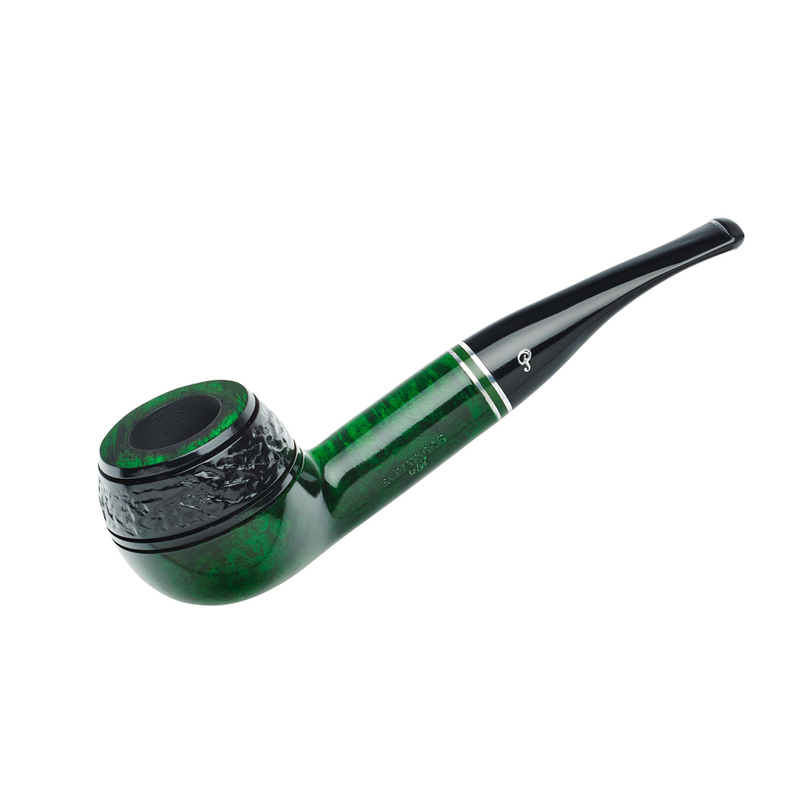 St. Patricks Day Pipe 2015 – A combination of smooth (green) and rustic (black) finishes with a smooth flat top at the top of the bow. The rustication is a Celtic knot. Twelve shapes (as shown): 01, 05, 68, 69, XL90. X220, 408, 338, 306, 304, 105, 106. 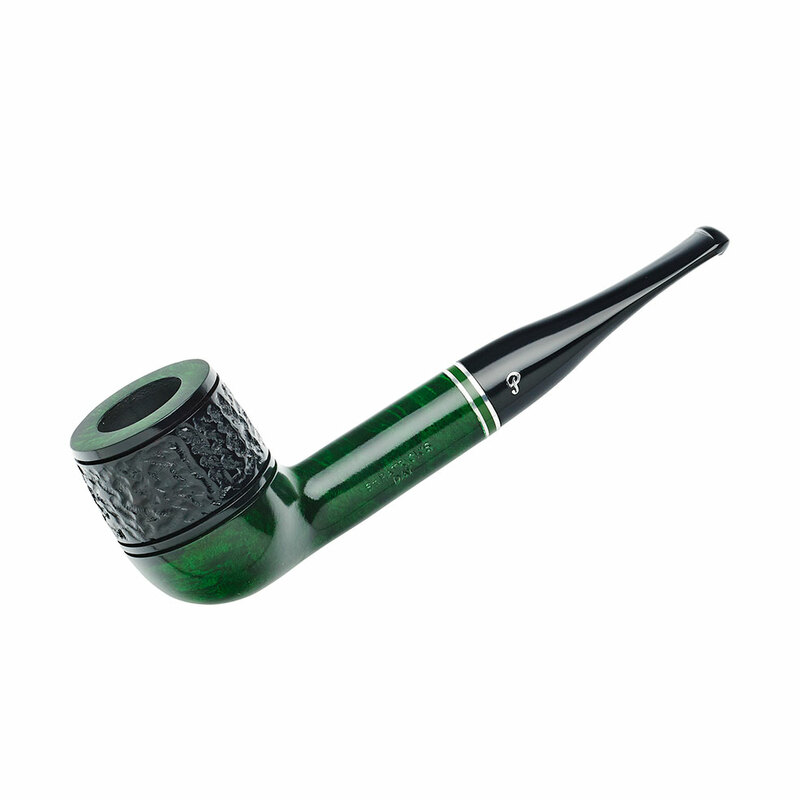 The Founder’s Edition 150th Anniversary Pipe—this is the Limited Edition / Pipe of the Year for 2015. The smooth LEs will be individually numbered 1 to 1865 (for the 150th Anniversary (1865-2015). POYs available in rustic and sandblast. Aluminum “P” pressed in stem. See the last blog for more information. 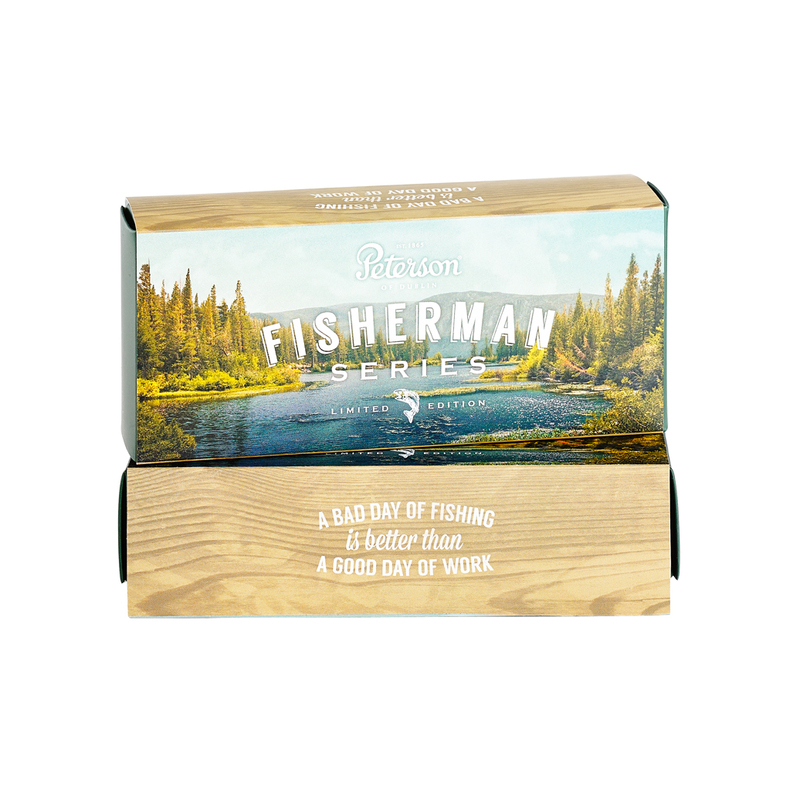 *American fisherman typically take a Missouri Meer along with them, knowing that if they drop one in the boat or water, $10 isn’t much of a loss. Peterson used to issue 2nds many years back, sometimes called “Dummies,” sometimes “Rejects,” sometimes “Erikas,” and it strikes me that if they ever wanted to bring these back to the U.S. market (these days you can only find them in Ireland), they’d have a ready market–a serviceable piece of briar with a comfortable ebonite mouthpiece that can be clenched when need be. 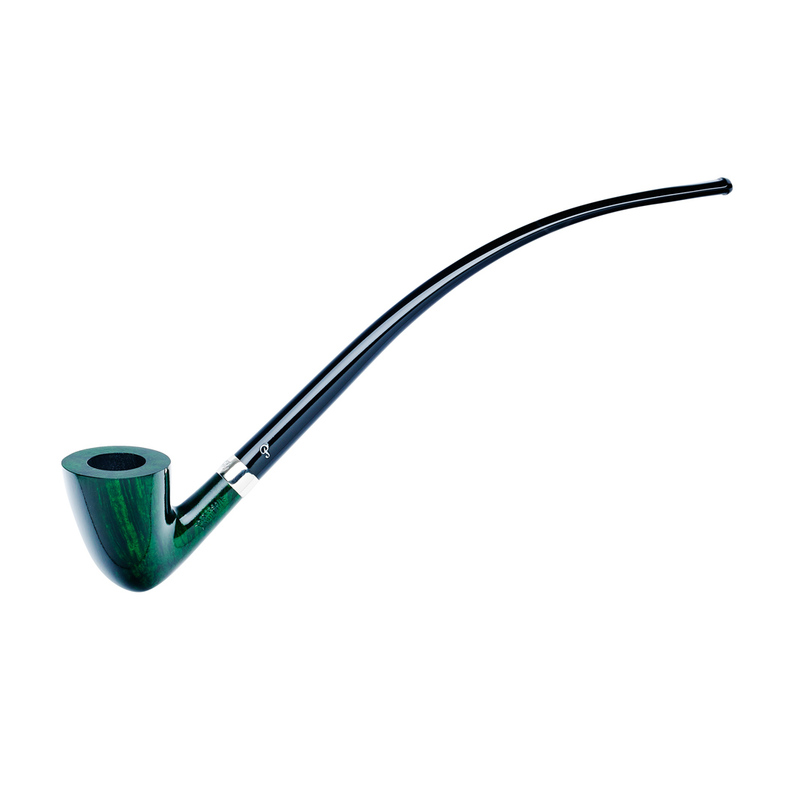 **Pipe-smoking is one way, I think, to further a non-dualistic world-view. 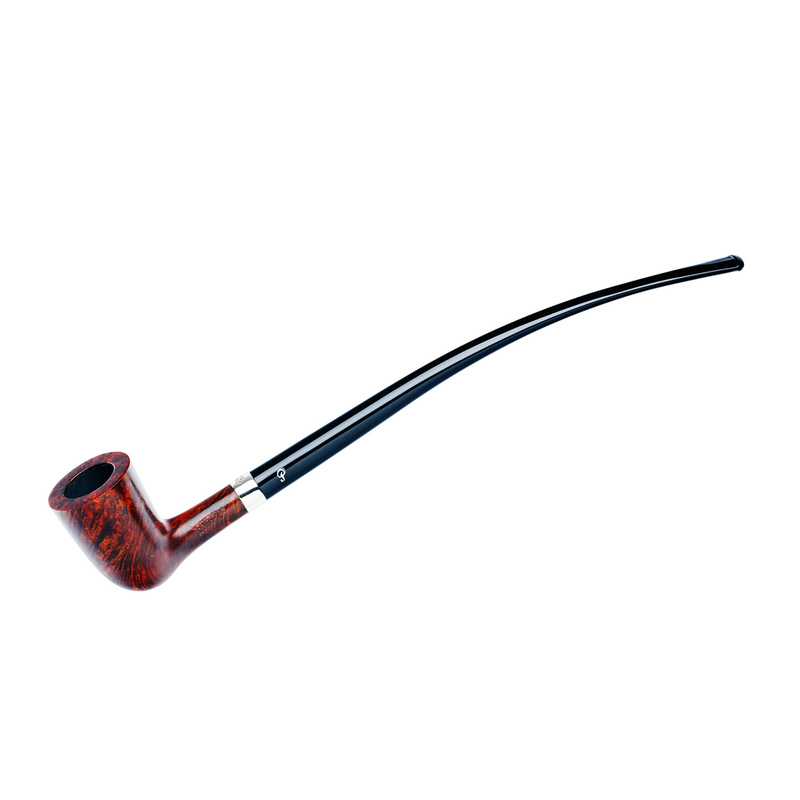 Jesus, Rumi, Gandhi, Buddha, Mother Teresa–all great pipe-smokers, of course. ***Shameless self-promotion: I currently have copies of my Pipe-Smoking in Middle Earth available at Amazon, for your enjoyment. Thanks for the great informative article. I’ll head over to Amazon now! Many thanks for the information! 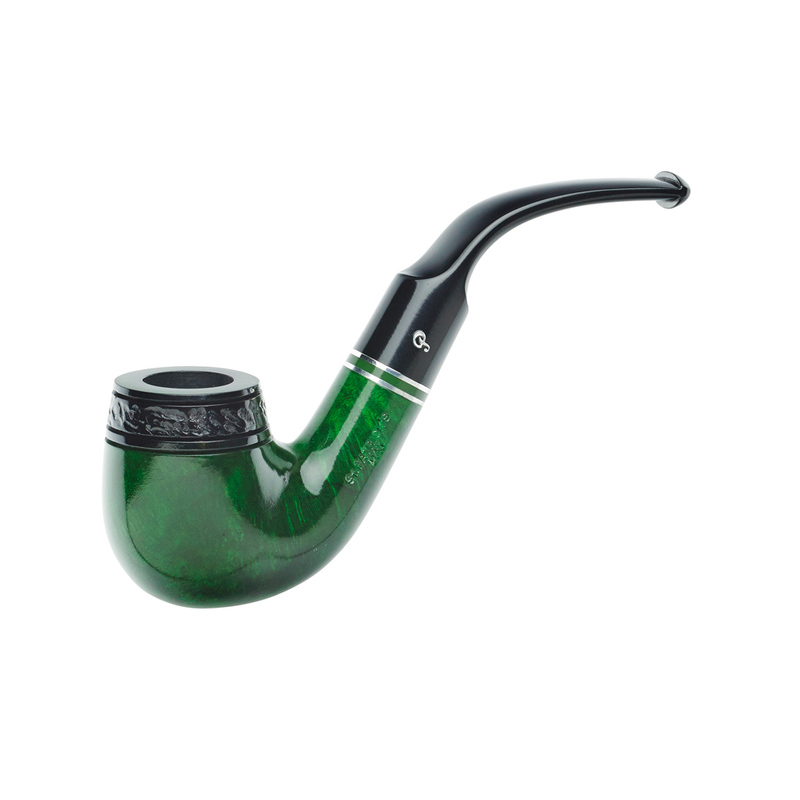 I recently purchased the 2015 St, Patrick’s Day 106 and I must say it’s a great smoker. As with so many other Pete’s I have trouble putting it down. 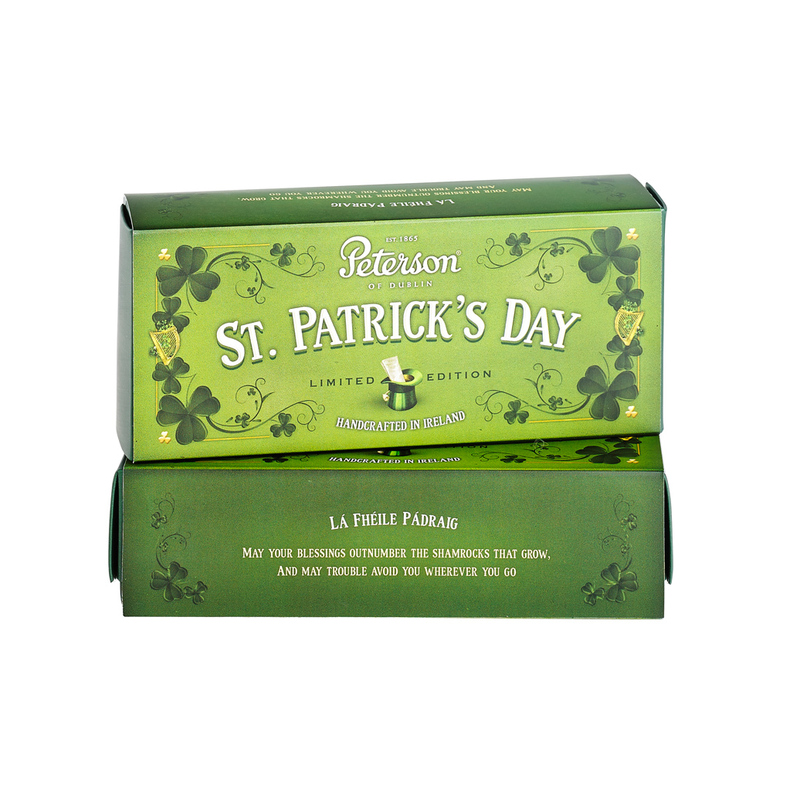 I’ll enjoy it with some Peterson tobacco while watching “Quiet Man” on TV come March 17. Thanks Mark for this catalogue – lots of eye candy to grab our interest. Some very interesting pieces in the new catalog. 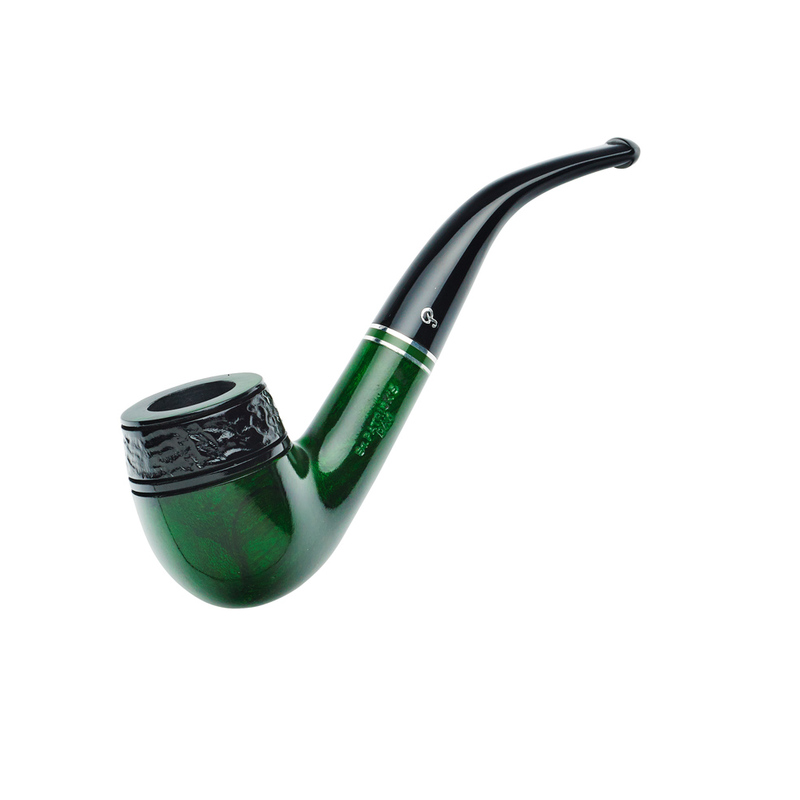 That 150th Anniversary pipe looks fantastic. Great Read!!! I have such a hard time finding photos of the new Petes out there. Hi Jonathan– Should have photos of the new 2016 lines in a month or so. Check back!